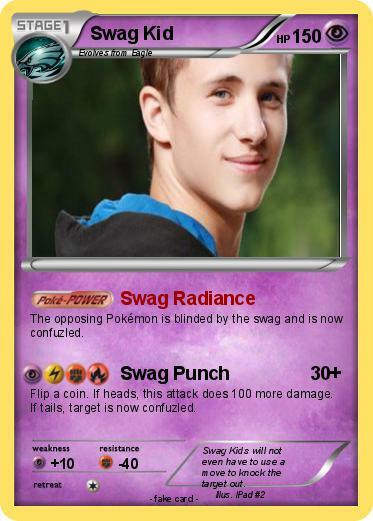 The opposing Pokémon is blinded by the swag and is now confuzled. Flip a coin. If heads, this attack does 100 more damage. If tails, target is now confuzled. Comments : Swag Kids will not even have to use a move to knock the target out.